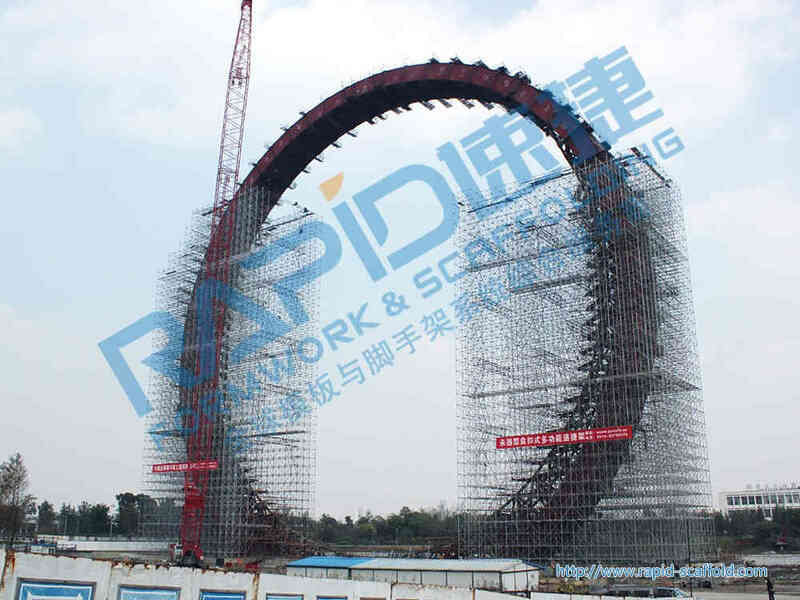 The View Tower is located in the Bauhinia Park, Changzhou, shaped in ring, width in 89m, height in 80m, thickness in 7m. 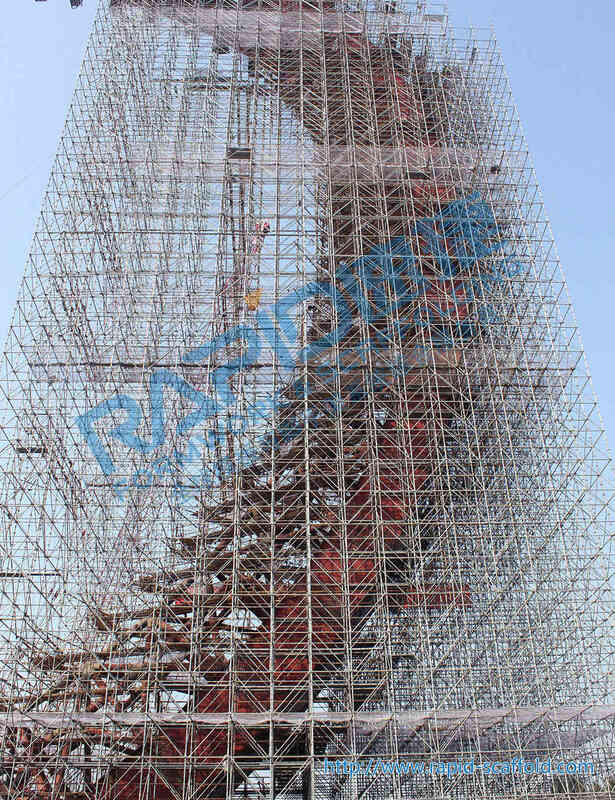 RS Octagonlock scaffolding system is used as working platform for this project. 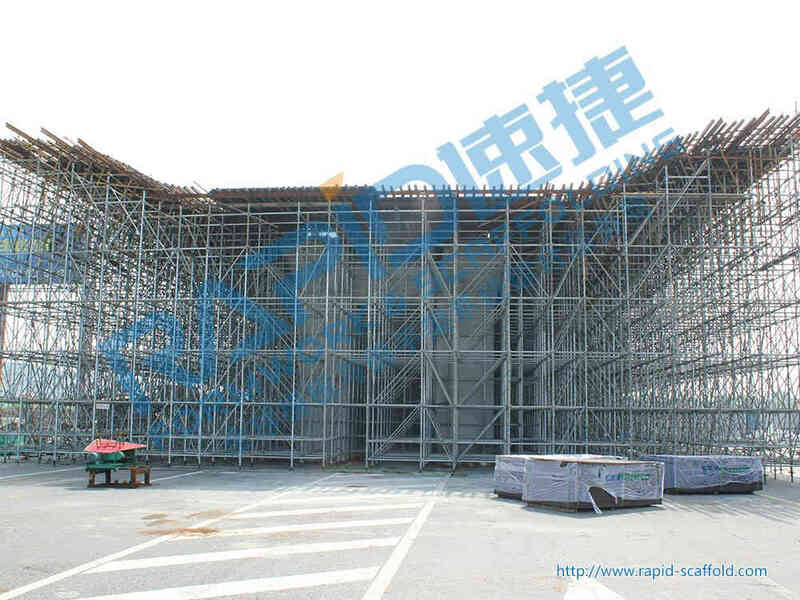 RS Octagonlock scaffolding system is very stable. 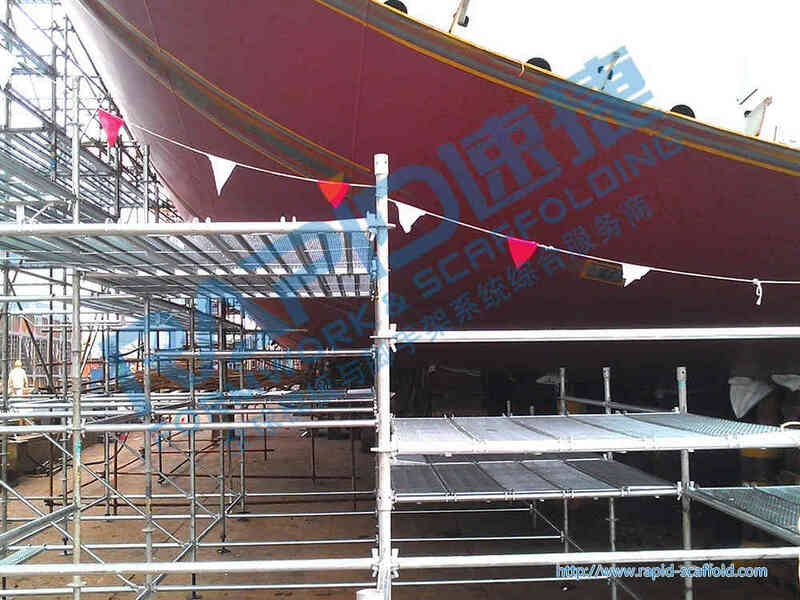 One set of scaffolding is 1.2*1.5m, not only functional bust also economical. 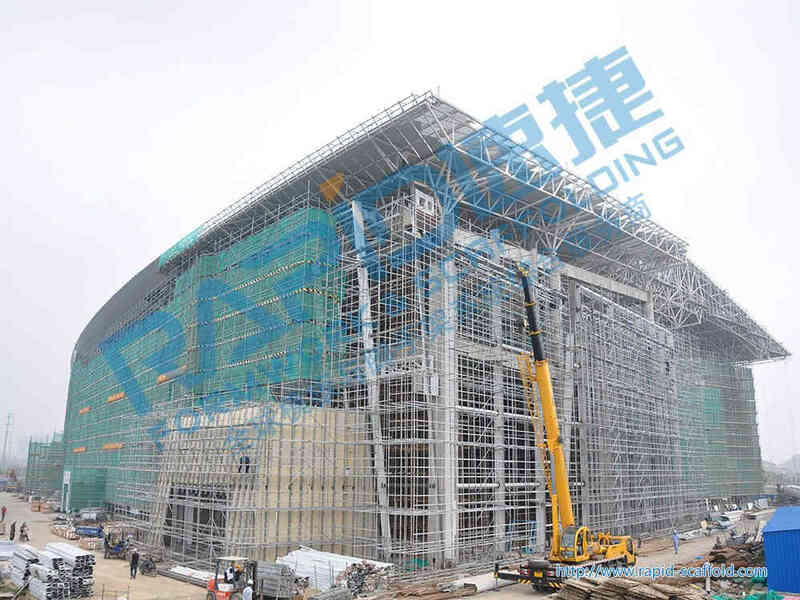 Scaffolding is erected on the ground and lifted to the work platform to be connected with scaffolding in the two sides. 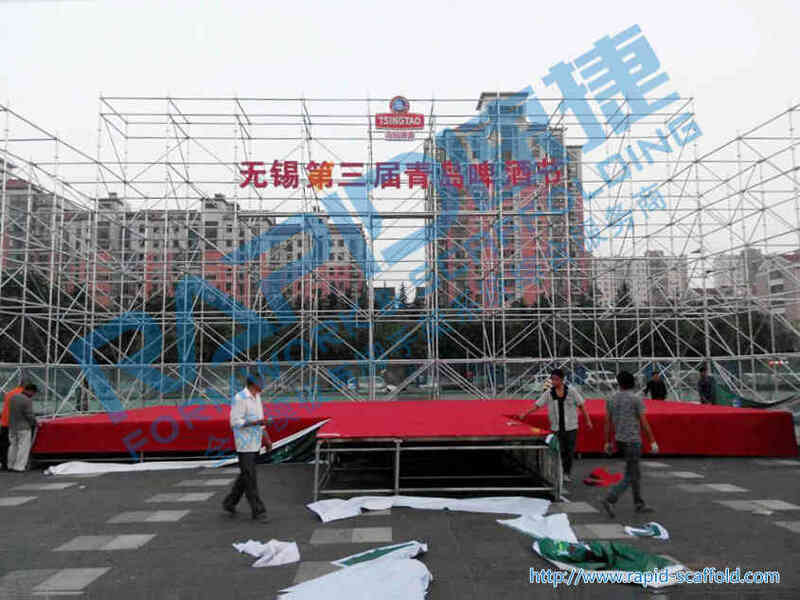 Advantage of RS Octagonlock system: saving material and labor, time and cost.